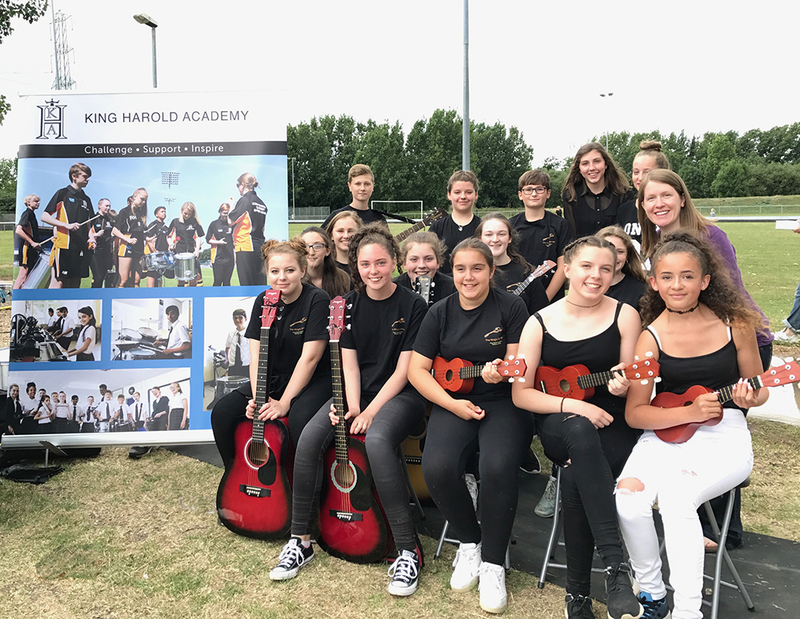 King Harold students took to the stage to perform for crowds at ‘The Waltham Abbey Town Show’. The KHA Samba Band, The King's Strings and school bands, 'Double Locked' and 'AML' received applause and shouts of, "encore!" from a great audience of parents, students, and members of the local community who had come along to enjoy the show in the sunshine. So much talent on display. Ms Thackray and Ms Russell couldn't be prouder of the King Harold students, most of whom are only in their first three years of secondary school. Can't wait for next year. Next, look out for the King's Strings who will be performing again in Waltham Abbey town centre on Tuesday 18th July.